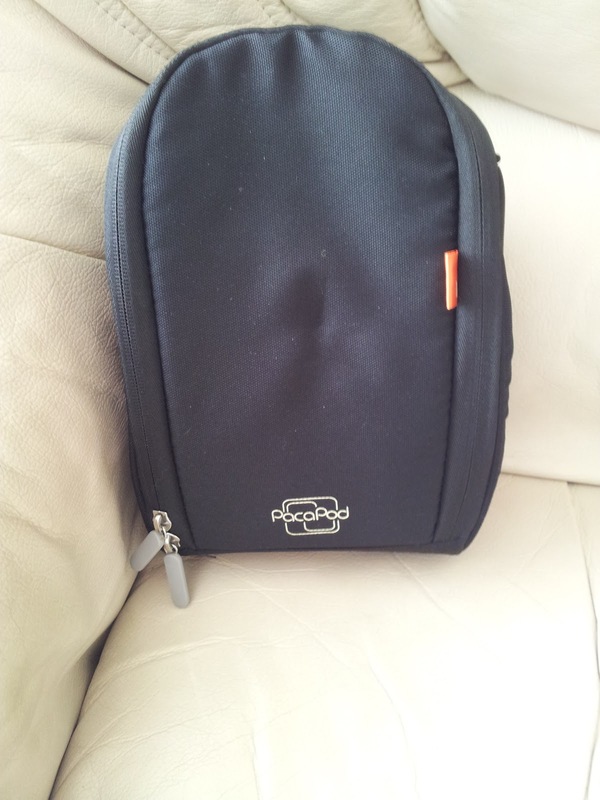 When Jack was first born, I was using my changing bag that I received with my pushchair. I then sold my first pushchair when Jack was 5weeks old as he was a long baby and outgrown the pram part. I then resulted to using my free changing bag I got from Boots; however, this broke within a couple of weeks. I was then looking around for a new changing bag. That's when I stumbled across Pacapod and fell in love instantly. However, budgets were a bit tight and the bag needed to be suitable for daddy also so I settled for the equally gorgeous 'Logan'. Pacapod was created by Jacqueline Waggett, a clothing designer and mum of 2 girls. 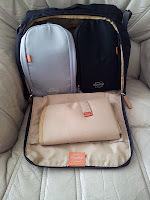 Jacqueline was disappointed by the choice of Changing Bags which were available; some not having suitable compartments and items becoming lost, and others not being suitable for fathers to use. 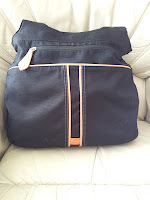 It wasn't just becoming a mum which inspired her to design a changing bag, she used her own experience of designing outdoor clothing and bicycle equipment to help her. Pacapod is now used by a variety of celebrities and sold in many major nursery shops including Mothercare and John Lewis. I chose the Logan in Black as I thought it was more suitable for us both to use, but it also comes in Mocha. The Logan has three large sections and one small front zipper section to this bag. 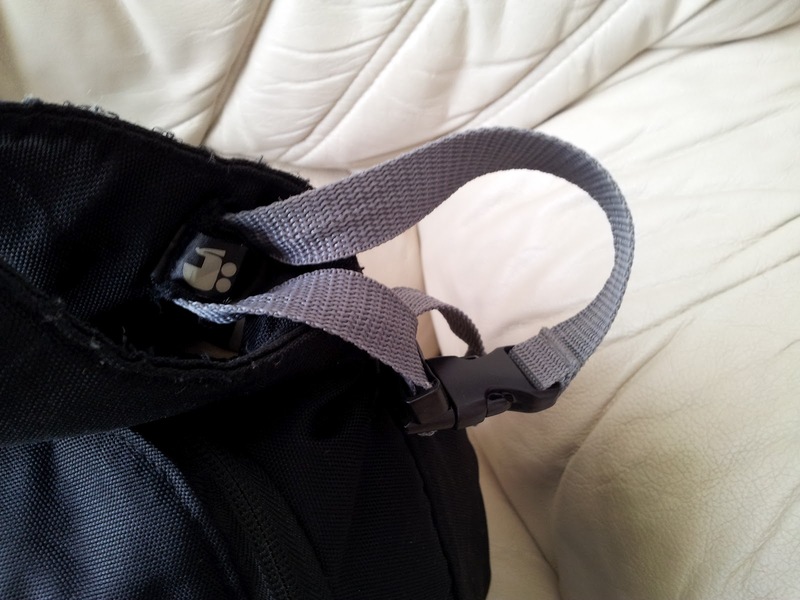 The front pocket is a magnetic fastening, ideal for items which you may need quickly but aren't too valueable. There is a smaller zipper section above this for you to store keys and mobile phones; within this section there is a clip in which you can attach your keys too. There is a large section in the middle, I store my purse and hairbrush in this part and a toy for Jack. 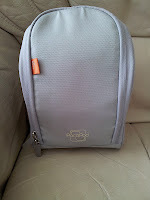 Finally there is the back zipper section, this is where the all important Pods are kept. Although, you don't have to store the pods there so could be used as another large section. There is also a changing mat included within this section, which neatly folds up and into its own pocket. Two Pods are included within all Pacapods, one for feeding and one for changing. The feeding pod is insulated and can hold upto 4 bottles and keep them warm for upto 3 hours. It also includes a detachable bottle cover which is also insulated. Within this pod is also a small side compartment in which you could keep cutlery when weaning. 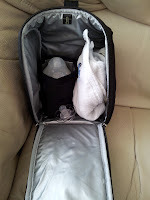 The changing pod includes 3 sections, elastic at the back and also a wet bag. 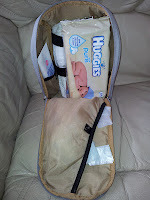 There is also a section on the back of the bag where you can store a dirty nappy or the wet bag. Within the elastic at the back I store upto 6 nappies, and a packet of nappies in the loose part infront of this. Either side of the main pod part are little pockets, in one of these I keep nappy cream, and in the other anti-bacterial gel. The two pods each have a velcro handle which attaches them to the inside of the bag to keep them in place, but can also be used to attach them to the pushchair on there own. 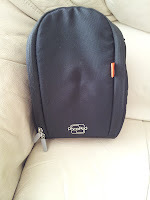 This is ideal if you are just popping out or don't want to take your whole bag out with you. The Logan has a long adjustable strap, which the Pacapod website states is 92cm when fully extended. 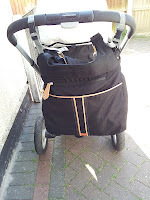 It also has two pram attachments, which again you can adjust to the correct length so it doesn't drop on the floor. 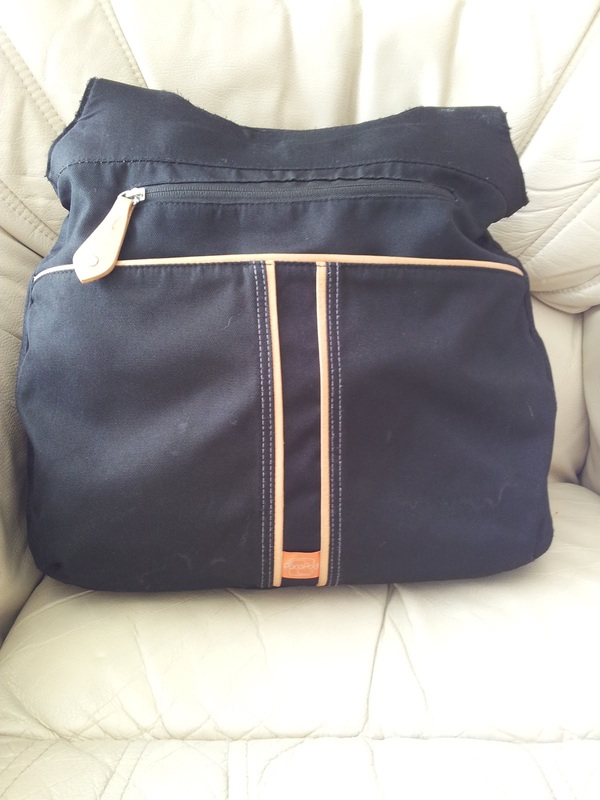 Overall, I think this bag is perfect, and I've only ever been able to fill it to full capacity once and that was as I put two changings of clothes in and toys for Jack. It is very spacious and perfect for use by Dad also. The pods are my favourite part as if I don't want to take the whole bag out with me I can just take the pods and attach to the pushchair or store in the bottom basket. I also don't have to search in the bag for where I have put my phone or keys as there is a section for each of these. 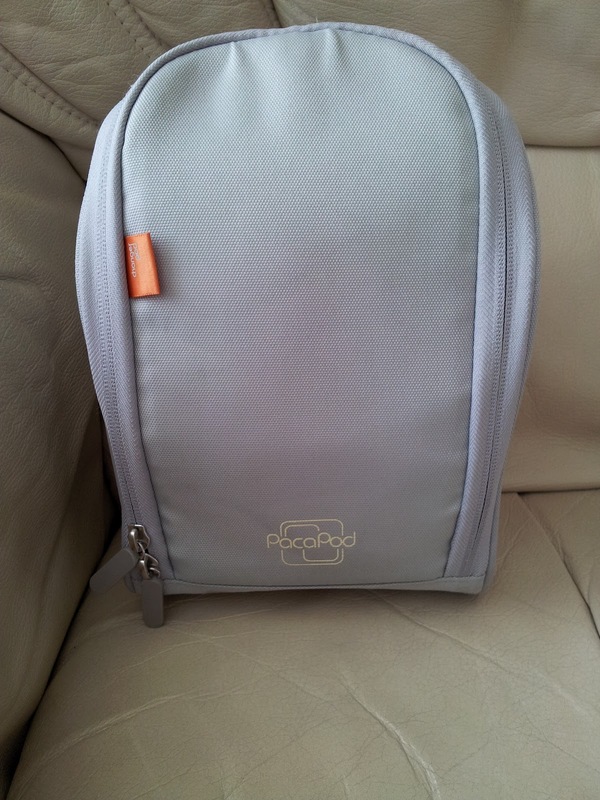 The Pacapod Logan retails at £65.00 and can be found on the Pacapod website.